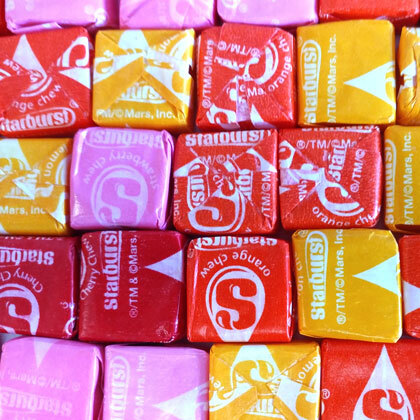 Deliciously juicy fruit flavored fruit chews. 9 ounce bag. Approx 5 pieces per ounce.